I recently saw a Seinfeld rerun where George tried to add a slip of paper to his bulging wallet causing it to explode. Considering the statistics, I'm guessing you can relate. According to the New York Times, a stack of all credit cards currently held by Americans would reach more than 70 miles into space — and be almost as tall as 13 Mount Everests. Even more shocking is that there are 10 billion new cards placed into circulation every year. No matter how you look at the numbers, the fact that there is a lot of plastic out there. Unfortunately, most credit cards are made of PVC, a petroleum-based plastic that is not recyclable. Fortunately, there are some uses for those old, unwanted credit cards. Practical. For example, I often use mine to scrape off stubborn price stickers. I've also been known to use them to scrape ice from a windshield. According to CreditCards.com, you can also use your credit card as a bookmark or guitar pic. 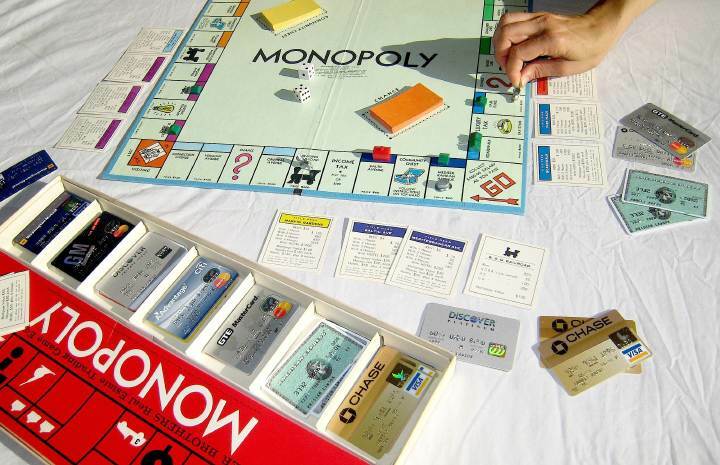 The Scavenging blog recommends using old credit cards in place of lost or crumpled Monopoly money. Artistic. Many people have found artistic ways to reuse old cards. For example, check out this collection of amazing credit card art. Would you believe that I once covered a giant owl in credit card "feathers" as part of a parade float? Educational. Give them to the kids to play "store." It's probably more realistic than giving them paper money and can provide many educational opportunities. Of course, you should only reuse cards from closed accounts to prevent identity theft. I admit that the suggested reuses for old credit cards may be a bit too "creative" for most people. Therefore, perhaps the best thing to do is to limit the number of cards you carry. While using credit wisely is good for your credit score, no one recommends filling you wallet to the brink of explosion.